Star Wars Downunder made use of many varied locations primarily in south east Queensland, with some later pick up shoots and plate photography taking place much further west. The opening scenes of Star Wars Downunder take place in a vast desert wasteland. At first, it seemed like it wouldn’t be too hard a task to find a suitable location, since we were shooting in Australia. Right? Wrong. Australia is a big place. The filmmakers soon learned that being based in Brisbane, the nearest desert location was over 1000 km away. 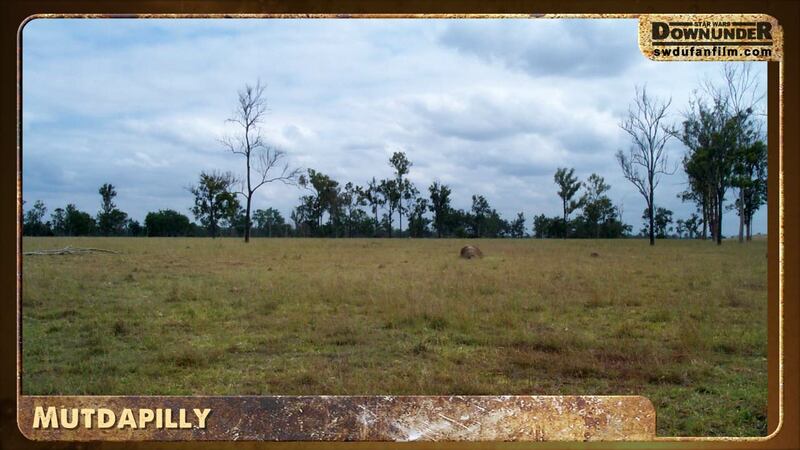 They briefly considered hiring a bus and lugging our cast and crew into the real outback, but soon came to their senses. Instead they opted for something more convenient. In the great tradition of classic Doctor Who, they decided to create their far flung other world in a gravel quarry. The one advantage they had over the BBC of the 1970’s though, was the ability to take a giant portable blue screen with them, to give them the chance to expand beyond the limits of the quarry in post production. With this in mind they soon found a quarry outside the city of Ipswich that would suit their purposes. The opening pub attack, Merve’s landing scene and the ruined pub scene were all filmed here. Another key location for the film would be the site of end battle. This was intended to take place on a sun drenched beach. Brisbane is located between two world famous coastal regions. The Gold Coast to south and the Sunshine Coast to the north. Location surveys to both areas proved one thing. They are both very popular areas for beach goers, and therefore not especially suitable for filming a sci fi epic. 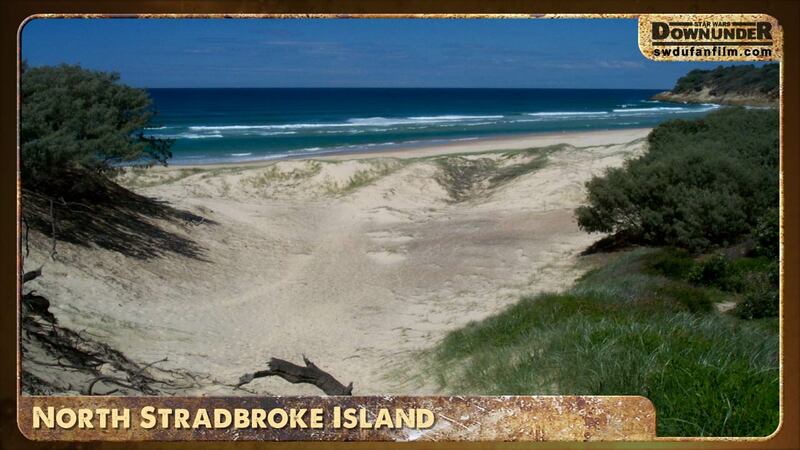 However, equally close to Brisbane but nowhere near as accessible as there are no roads leading there, is North Stradbroke Island. A popular spot, but nowhere near as crowded as either of the coasts. Combine the less populated beaches with shooting in the middle of winter, and they had their spot. Over a period of three days they shot the entirety of the battle. One day was devoted to stunt work, one to the prelude to the battle, and one for Merve’s stirring speech. When revisiting the beach for the party scene, an alternative location was used, due to the logistical constraints of supplying power for the lighting. Pandanus Beach at Wynnum was chosen for this scene and once again, augmented with a portable blue screen to extend the vistas in post. Other locations included a cattle farm at Mutdapilly for Nugget’s house. 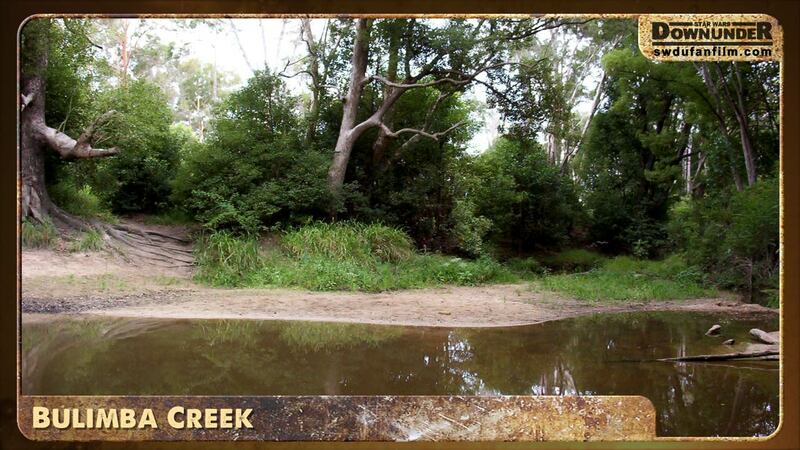 a patch of bush at Wulkuraka for Drongo’s opening pursuit, and a creek bed on Bulimba Creek for the rebel camp. Studio work was filmed at Brisbane television station BTQ-7. A large blue screen was still standing in their larger studio from a previous production, which was made available to them before it was torn down to make way for a children’s program. Finally, after principal photography wrapped, several backgrounds needed filling in with plate photography. 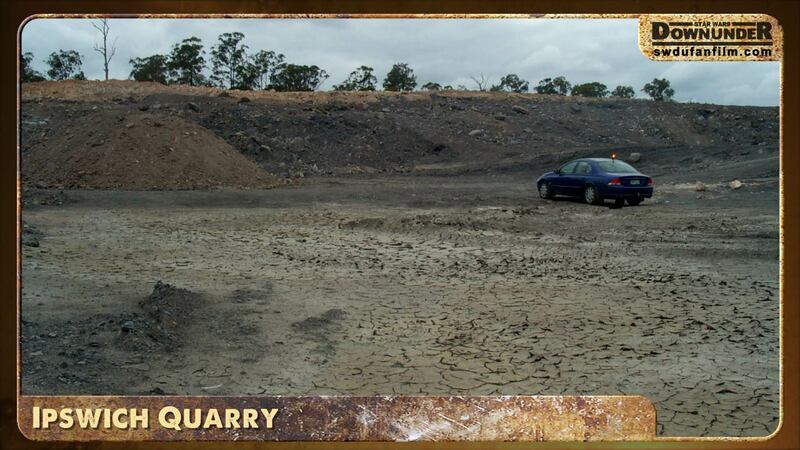 Specifically desert backgrounds to fill in behind what was shot at the quarry. With this in mind, the production team finally realised their dream of heading out west, to the desert to shoot. 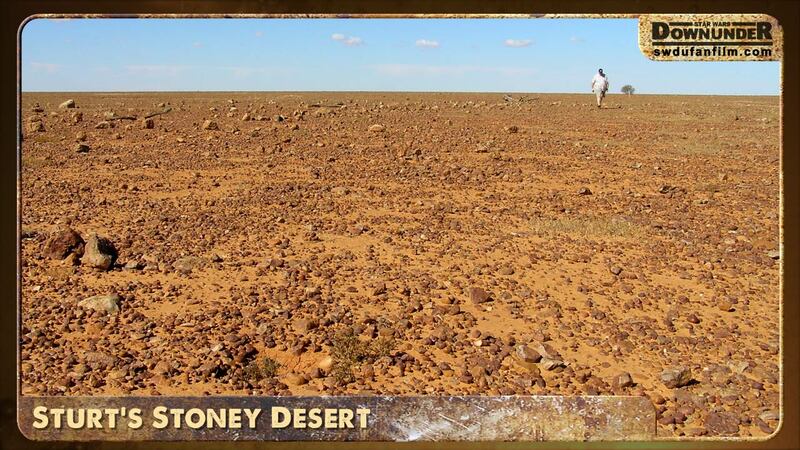 After driving 1500 kms in a day and a half, Michael, Matt and Bryan reached Sturt’s Stoney Desert. On arrival they spent 2 hours shooting vistas, then drove 1500km home again.